The show was part of an initiative to support women in stagewriting and benefited from it greatly. On Nov 9, TU Theatre presented a concert reading of “Wild Man” by K.T. Peterson. The script is the winner of the 2018 WomenWorks competition. WomenWorks is a joint effort between the theatre and creative writing program at the University of Tulsa to celebrate and support the works of graduate female playwrights. Women have not been given as prominent a platform as men in playwriting, which is why it is so important that they be supported in their endeavors. WomenWorks gives female writers an opportunity to shine and improve their craft. The competition also gives theatre students the rare chance to work directly with the playwright as they rehearse the script. This made their performance even richer, as the students were able to truly engage with Peterson and learn from her. Peterson is a woman of many talents. In addition to being a playwright, she is also an actor and director. She fosters a love of creativity in the people around her, and she has been a part of the Children’s Museum of Indianapolis’ children’s theatre. 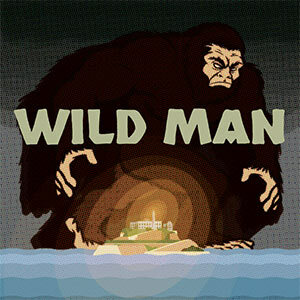 “Wild Man” is an intriguing story about a man who goes missing in an Oregon town and the chaotic lives of his family and friends (including one slight Bigfoot-like character). The play escalates as new characters create more problems in the town. As the stakes rise, the main characters, Anette and Clark, will have to make some tough choices. It was incredible to not only listen to Peterson’s play but to experience it. The story that Peterson wove was one that had many moving parts that all came together. The script was excellent, with both funny and serious moments. The audience got to witness each character’s different life and story unfold before their eyes. The characters are the most important part of any story and Peterson’s did an excellent job at crafting unique characters. They each had their own well-developed personalities. Not only did I understand each character, but I felt for each character as they struggled. There was not a boring moment in “Wild Man.” The audience was constantly laughing and smiling as the characters fumbled through their lives and got into arguments with each other. Of course, it does not matter how well written the characters are if the actors playing them are subpar. Luckily, that was not the case. Each actor did a wonderful job of bringing their character to life. They painted the image of each scene to the audience. Although there were no props or sets, it didn’t matter. You could almost hear the claps of thunder and see the rainy Oregon town. I particularly enjoyed the moments between Clark Longwood (Nicholas Mueller) and Lydia Longwood (Kat Payne). Clark is Lydia’s adopted father, and the actors really brought their relationship to life. They had the audience dying of laughter when Clark tried to have “the talk” with Lydia. Seeing the performance of “Wild Man” was a great way to spend a chilly evening. Each member of the cast did a great job individually and as a whole. It was encouraging to see a female playwright celebrated on the University of Tulsa campus.